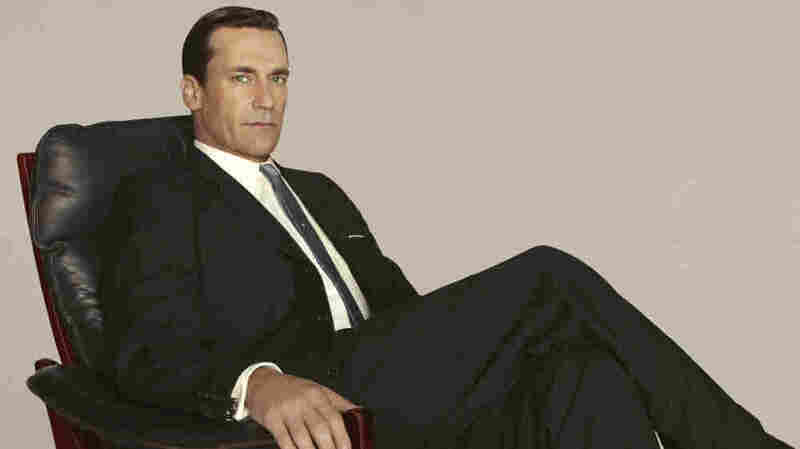 'Mad Men' Returns On Sunday, To The Delight Of Its Excitable Fans Mad Men is returning after a long hiatus this Sunday. NPR's Elizabeth Blair looks at the reasons for the delay and what it might mean to fans. Jon Hamm plays Don Draper on Mad Men, which returns this Sunday night. On Friday's Morning Edition, Elizabeth Blair investigates one of television's pressing questions: Why has Mad Men been off the air so long? It's returning this Sunday night with a two-hour season premiere, but it's still puzzled some viewers that it has been off for such a long time. The network has explained it as a scheduling decision, particularly designed to let them give Mad Men's slot to Breaking Bad for the summer. But as Mekeisha Madden, TV writer for the Detroit News, tells Blair, you could argue that all of AMC's other shows, including Breaking Bad and The Walking Dead, owe their existence to AMC's success with Mad Men. So what's with the delay of the network's original prestige project? Show creator Matthew Weiner talks in the piece about the role of contract negotiations over things like product placement, which has involved brands like Heineken and Cadillac. But whatever the reason, it's been almost a year and a half since Mad Men was on the air. The network is advertising, it's been running reruns, and it's trying to cross-pollinate with its other shows. The two-hour premiere is also part of the strategy. So, of course, is the notorious secrecy that surrounds the show. Weiner is a well-known stickler about spoilers of any kind, to the point where he asks critics who receive advance screeners not to reveal anything, down to what year it is in the return episode. Jerry Della Femina, an ad man whose writing partly inspired the show, tells Blair all that secrecy is a big part of the show's cachet. Oh, and he'd like to see Don Draper (Jon Hamm) stop feeling guilty about sleeping with so many women. Della Femina is right, of course, that Weiner has gotten a lot of mileage out of making things in the show seem to be more about shocking plot twists than it really is. (Critic Alan Sepinwall recently wrote that the show, contrary to all that secrecy, is always really about the what, but the how.) And if we were talking about a show that people watch casually, there would probably be a bigger risk in leaving it off the air that long. But Mad Men is so beloved by the people who watch it, and it left so many plot points hanging at the end of the previous season, that it's hard to imagine anyone is going to forget about it. Maybe you forget Survivor if you don't see it for long enough. Maybe you forget Smash. But are you likely to forget a show as profoundly stylized and persistently buzzed about as Mad Men? No.